This post is dedicated to my grandaunt who loves to feed everyone. Out of all the dishes my aunt makes, my mom's favorite is Sarvapindi (rice and moong dal flatbread). On our last trip to India, my mom and I visited my grandaunt and she made sure we left her home with a belly full of goodies. 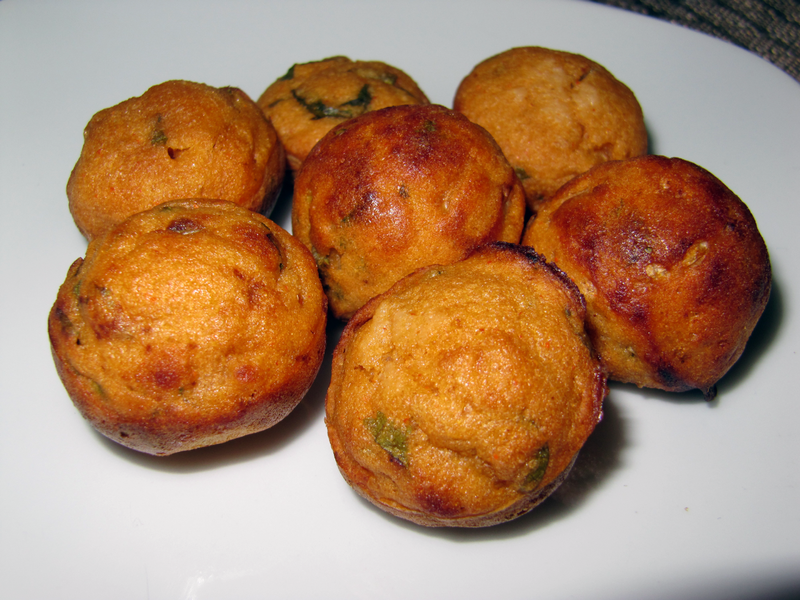 Along with my mom's favorite, she also made this yummy snack called Guntapongalalu*, which resembled cake pops but tasted like uttapams (Indian pancakes). We filled up on the the savory bites, while my aunt filled us in on the family updates. We enjoyed ourselves quite a bit and even received some recipes for our blog. Woohoo! My aunt made these pops using this Prestige cast iron tray that can be placed right over the stove. 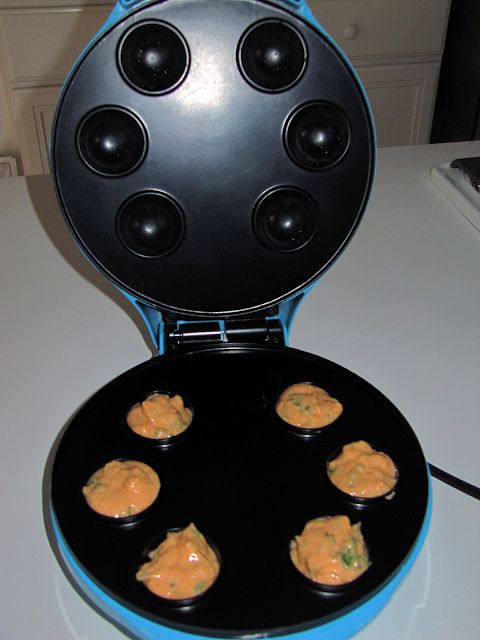 Then you simply pour the batter into each of the pop molds, turn the stove on and let them get cooked. With the new airline weight restrictions, there was no way to bring the tray back with us. We almost lost our hope when we got the idea to try this recipe using the Cake Pop Maker. 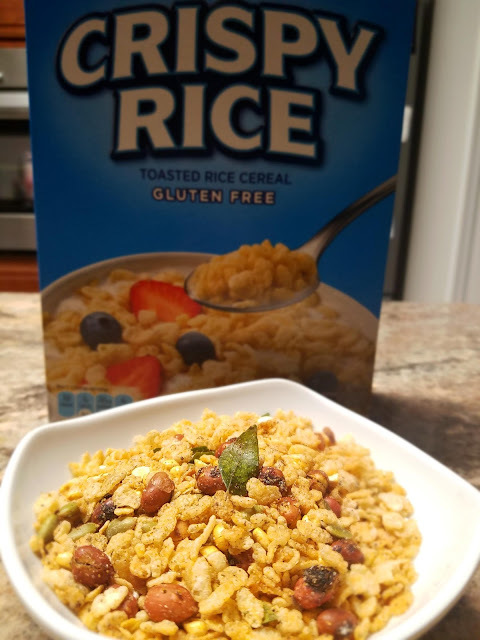 After weeks of searching store catalogs and online browsing, we found one in Target and tested the recipe. And the results were delicious!! Serve hot with coriander/mint chutney or your favorite sauce! *Directly translated, Gunta means hole (like donut holes) and pongalalu means something that rises or puffs up. So puffed up dough balls. Traditionally this snack is made with dosa (rice crepes) dough which is prepared at home or can be purchased at Indian stores. - If cake pop maker is not available, use a mini cupcake baking tray and bake for 10 to 15 minutes in a preheated oven, set at 350°F. Check in-between to make sure they evenly bake. - Grated carrot, chopped spinach and/or other spices may be added as well. I make these with dosa batter. 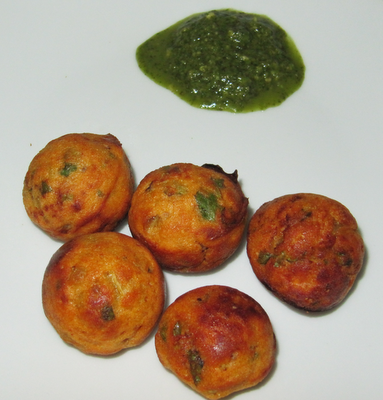 I add chopped onions, spinach, coriander leaves, grated carrot to the batter and Sriya loves these. I got a non stick pan from India to make these. Glad to learn that i can use cake pop maker and make them instantly. Yea. It's so easy and you can use different combo of flours to make this snack. Whatever is available in your area. Thanks for the feedback. I read this post long back and wanted to try them yesterday.I put basin(sanaga pindi) instead of wheat flour and made sooji also 1 cup by mistake but to my surprise, they came out really very well.Jahnavi, u can also try mine next time and im sure u'll luv it:)thanx for sharing it. I was really looking for something like your dish. thanks a lot. I tried with Sooji and besan, equal amount, but found 2 problems - first, I felt they were not properly cooked from inside and second they were not yellowish red in colour as yours. Hi Akansha, thanks. Glad you liked it. I'm not sure what all you put into the recipe but here's why you might have had prob: one is that besan makes denser dough as compared to wheat flour and the amount of cooking soda might have been less. Feel free to email us all the ingredients you added and we will get back to you. Can I use wheat rava instead of sooji? You can use it as long as it is as fine as sooji. Sooji is also a wheat product.